YouTube is a great educational resource for anyone wanting to learn about jazz. Building off of my first Jazz YouTube Channels post, I wanted to share some more of my favorite jazz channels. Jazz Video Guy is a channel created by jazz videographer Bret Primack. Primack compiles concert clips, interviews and historical information to make original videos. Primack has great content about musicians such as Sonny Rollins, John Coltrane, Roy Haynes and Dr. Billy Taylor and often hosts Google hangouts with jazz musicians. irockjazzmusictv is another channel that interviews jazz musicians. This channel covers topics such as jazz culture, history, education and the current scene. Musicians such as Robert Glasper, Russell Malone, and Wayne Shorter have been featured on this channel. Jazz on MV is a channel that posts full length concerts from the Newport Jazz Festival, among other festivals. These full length concerts are an incredible resource, since you can see how the musicians interact with each other and with the crowd. It is also a great resource to watch masters that have passed on, and Jazz on MV has videos of Elvin Jones, Dave Brubeck and Michael Brecker. WBGO is a public radio station that broadcasts jazz music from Newark, NJ. WBGO also does a live broadcast called the "Checkout" and oftentimes posts videos of the performances on this channel, featuring artists such as Steve Coleman, Kendrick Scott and Avishai Cohen. Blank on Blank is becoming my favorite YouTube channel. 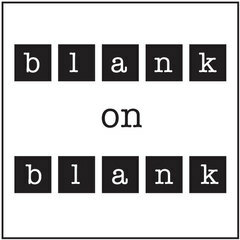 Blank of Blank is part of PBS digital studios, and takes interviews and animates them. The interviews oftentimes include jazz musicians such as John Coltrane, Dave Brubeck and Louis Armstrong, but have also included luminaries such as Kurt Vonnegut and Ray Bradbury. The quality of the animation combined with the educational content forms an dazzling, entertaining video. The rise of technology, apps and smartphones has brought amazing educational resources.